Santa Clara County officials are looking for ways to protect immigrants who could be deported once the country's new leadership takes the helm in January. 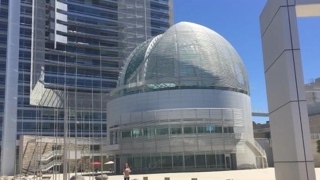 By a unanimous vote, the Board of Supervisors asked the county's Office of Immigrant Relations to team up with San Jose city officials and other willing cities in the area to provide legal aid to immigrants if they're at risk for deportation. The issue was brought to the board from the office of Supervisor Cindy Chavez, who said at today's board meeting in San Jose that the county's economic prosperity is rooted in a place where people feel safe and welcome. The county's population is made up of 38 percent of residents born in another country and 50 percent of people who speak a language other than English, Chavez said. President-elect Donald Trump during his campaign indicated he would deport millions of people once he's inaugurated, Supervisor Ken Yeager said. The referral asks the office to look at ways the county can expand legal representation to adults that it already provides for children. It also asks for office staff to bring in pro bono, private and county legal services to help make sure possible deportees have representation. The proposal reinforces the 14th Amendment that calls for equal protection under the law, including everyone living in the country, County Executive Jeff Smith said. The county also intends to protect confidential information it collects from its residents on their health, social services, family and other priorities, Smith said. About two dozen speakers who addressed the board were supportive of the effort, but called on the board to reconsider a recommendation to exclude those charged or convicted of non-immigration-related crimes from the legal services. The speakers included representatives from community groups such as the Law Foundation of Silicon Valley and Sacred Heart Community Service who said everyone is entitled to a defense. Public Defender Molly O'Neal also echoed the community's concern in a Monday letter addressed to the board, saying limiting beneficiaries of the legal services would affect all of her office's clientele. "When considering this policy, it is important to remember that our clients are not islands," O'Neal wrote. Many people who wind up in deportation hearings over minor crimes have ties to the community and often stay under the U.S. Immigration and Customs Enforcement's custody because they don't have an attorney, according to O'Neal. San Jose Mayor Sam Liccardo also lent his support for the effort in a letter to board president Dave Cortese and suggested increasing public awareness on notarios, Spanish for notaries, who scam immigrants by providing fraudulent legal assistance. The board is expected to learn more about the proposed plan at its Dec. 13 meeting. "We really don't know what the future looks like, not just on matters of immigration, but a whole host of issues," Supervisor Joe Simitian said. "The conclusion I've come to is we have to hope for the best and prepare for the worst," Simitian said. The board also approved a referral to county administration to prepare documents by the board's next meeting for a Federal Legislative Advocacy Task Force with Simitian as chairman and Cortese as vice chairman. The county also plans on inviting Reps. Zoe Lofgren and Anna Eshoo and Congressman-elect Ro Khanna to the task force, Cortese said. The task force would discuss and notify the board of any federal policies that can have a large impact on the county in anticipation of the new presidency.